COMPANY – Six Sigma Products Group, Inc.
Six Sigma Products Group, Inc., was incorporated on January 6, 2006, to serve as the product fulfillment entity for Air Academy Associates, our sister company, which has been providing premier training, consulting, and project mentoring services in Six Sigma, Design for Six Sigma, SPC, Design of Experiments, Lean, and other continuous improvement topics since 1990. Our goal is to satisfy the requirements of our customers with easy-to-use and cost-effective training aids and reference materials, not only by supplying Air Academy’s industry-recognized products, but also other texts, training aids, and software which we view as some of the best in the business. The owners and management team of Six Sigma Products Group, Inc. are Mark Kiemele and Rick Murrow. Six Sigma Products Group’s Customer Service and Accounting functions are managed by our professional team of Becky Craig and Denise Rucker who also provide similar support for Air Academy Associates. The training aids sold by Six Sigma Products Group, Inc., are designed to save our customers money and to help them produce better products and services faster and at lower cost, translating into bottom line savings and top line growth. Anchored by Air Academy Associates’ product base of textbooks, training manuals, training aids, and software co-developed with Digital Computations, Six Sigma Products Group aims to be your provider of choice for products to support your company’s continuous process improvement efforts. 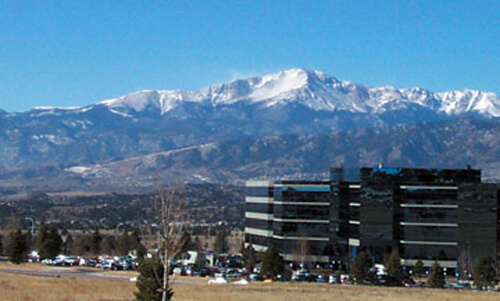 Six Sigma Products Group, Inc., is located in Colorado Springs, Colorado, along the Front Range of the Colorado Rockies. Customers who visit our office (shared with that of our sister company, Air Academy Associates) have convenient access to hotels, restaurants, shopping, attractions such as the U.S. Air Force Academy, U.S. Olympic Training Center, Garden of the Gods, Pikes Peak, Focus on the Family, and to skiing, hiking, biking, whitewater rafting and other seasonal outdoor activities.